Silky smooth and whisper quiet... It’s like having your own limousine on the water! When was the last time you treated yourself to something relaxing and exciting? Now is the time to book your next Duffy Gold Coast experience! 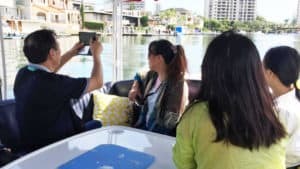 With Duffy Down Under’s famous Gold Coast Boat Hire Services and treat yourself to our beautiful surroundings with your closest friends or family! Welcome onboard our beautifully appointed 18 Ft Duffy Electric Boats, located on the beautiful Gold Coast. 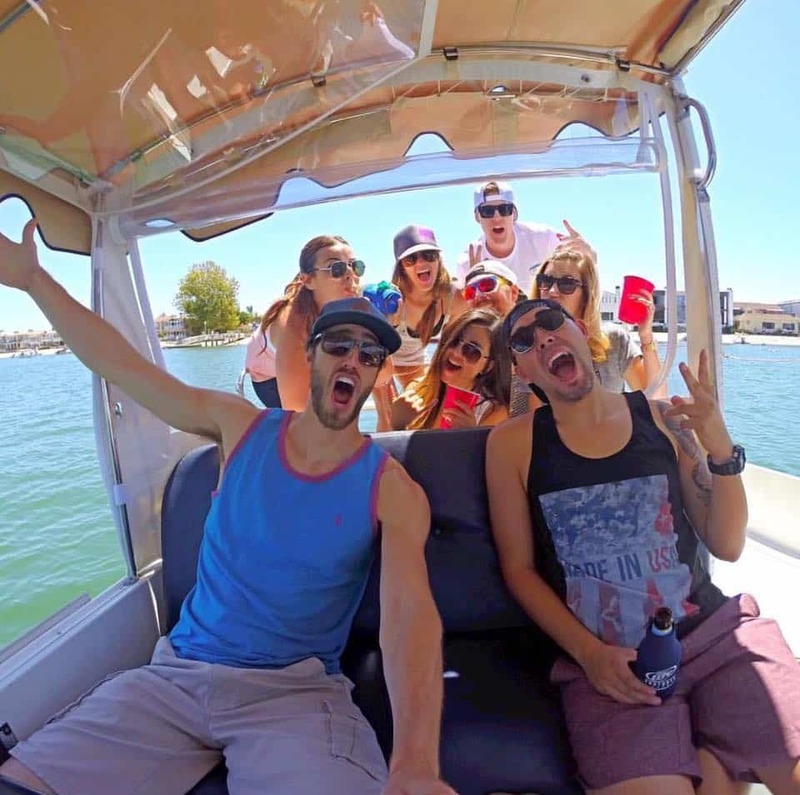 Duffy Boats delivers equal quantities of relaxation, fun and soft adventure for all ages. You'll get the rest and relaxation you've been waiting for. Duffy Down Under offers a fleet of luxurious and totally unique boats for hire. Eco-friendly at it’s finest! Our fleet consists of stylish 18’ & 22’ Duffy Electric Boats, with all the trimmings such as cherry wood tables & helm, surround sound stereo system, CD player, iPhone hook up, refrigerator, carpeted floors, mood lighting and much more. Duffy Electric boats are perfect for couples, friends, family & groups looking to enjoy the calm waters of the Gold Coast. Each boat is easy to operate, allowing for those with minimal or no experience to captain the boat, as no license is required. We can also offer a skipper for your total enjoyment. 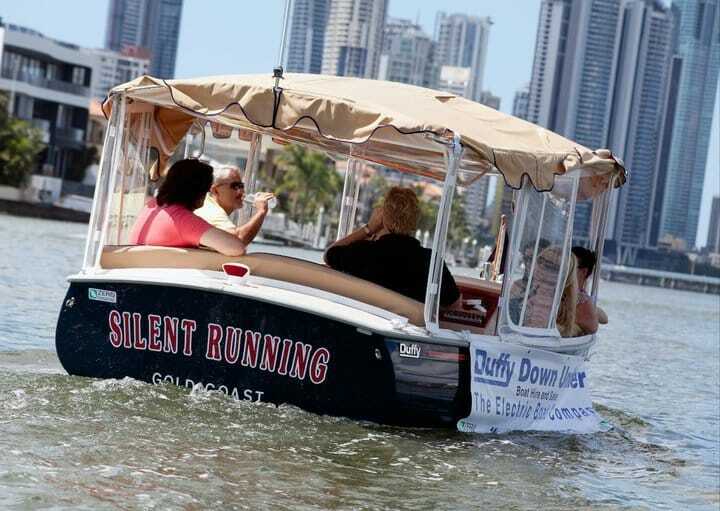 All of our Gold Coast Boat Hire Services require no license! Self-drive Duffy boats are extremely easy to maneuver and operate. You can be sure that your Gold Coast boating experience will be a safe and enjoyable one with a safety briefing before hitting the water. 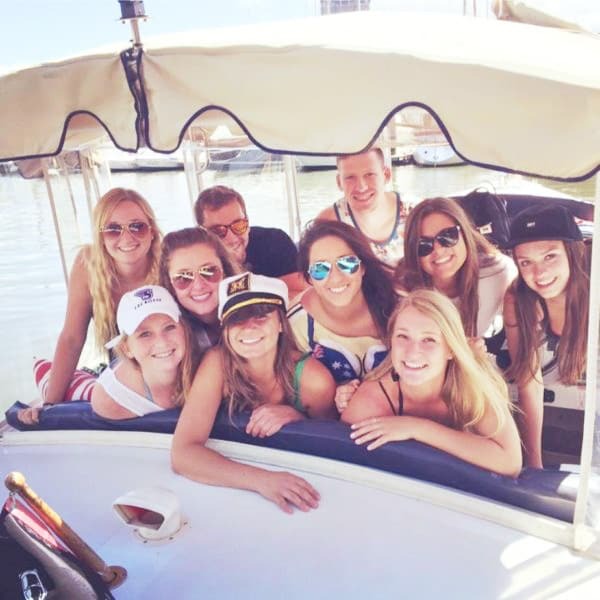 Or Hop onboard for one of our relaxing 1 or 2 Hour calm water skippered Morning or Sunset cruises. Our relaxing journey is not copied, and not operated by any other cruise operator as our boats are built to glide silently under bridges and canals where other cruise boats cannot follow. Have a question? Maybe looking to contact Duffys?